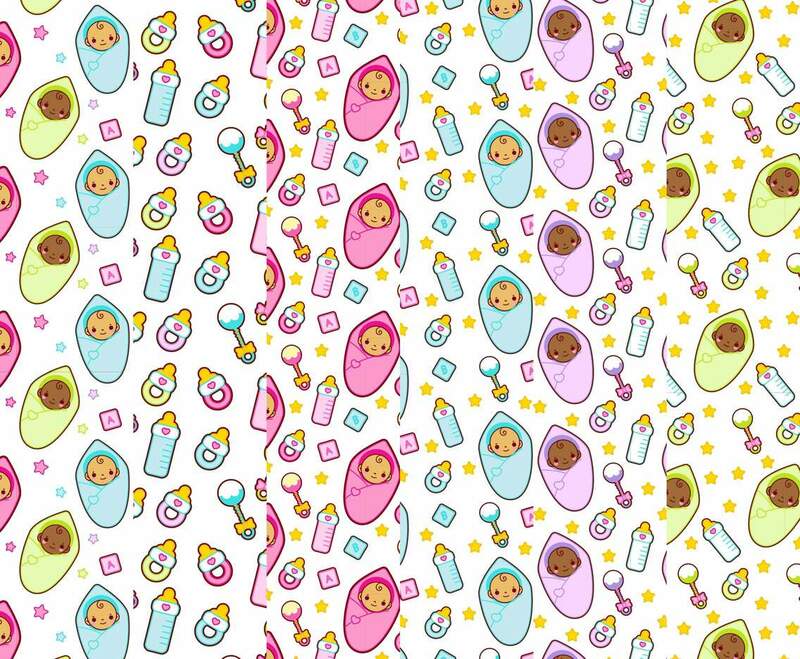 A sweet set of baby cartoon patterns. AI included. Perfect for baby announcements, baby showers, and more!